The federal bureau that approves company expansions and beer labels for out-of-state sales has been closed since Dec. 22, preventing breweries from introducing new releases outside Maine. 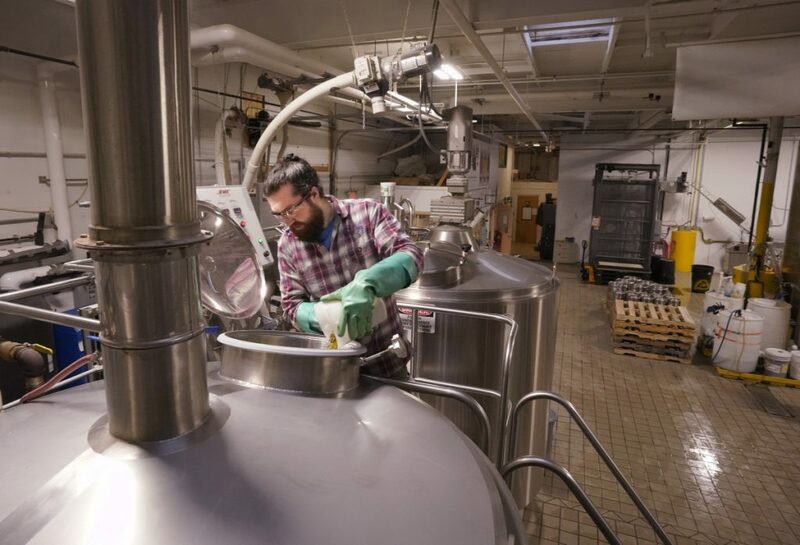 Owners of craft breweries in Maine are worried that sales could go flat during the federal government shutdown because the agency that processes licenses and approves labels for out-of-state beer sales has been closed since the shutdown began 2½ weeks ago. In York, an expansion of SoMe Brewing Co. – to add York Beach Beer Co. – has been halted because of the shutdown. New breweries and expansions need licensing approval by the federal Tax and Trade Bureau, which is closed, and SoMe’s expansion license was under consideration when the agency went on hiatus Dec. 22. “We are losing a considerable amount of money,” said David Rowland, co-owner of SoMe Brewing. Rowland said he applied for the license shortly after Thanksgiving and expected to be open by now. Even when the government reopens, he has no idea how long it will take before his application is processed. President Trump is in a standoff with Democrats in Congress over $5.6 billion in funding for a wall on the nation’s southern border. Maine now has more than 130 craft breweries and “beer tourism” has taken off, but some parts of the state’s fast-growing industry have ground to a crawl or stopped because of the shutdown. Heather Sanborn, co-owner of Rising Tide Brewing Co. in Portland, said that because the Tax and Trade Bureau can’t approve new labels for out-of-state sales, that’s preventing the company from moving forward with developing new brands for the spring. 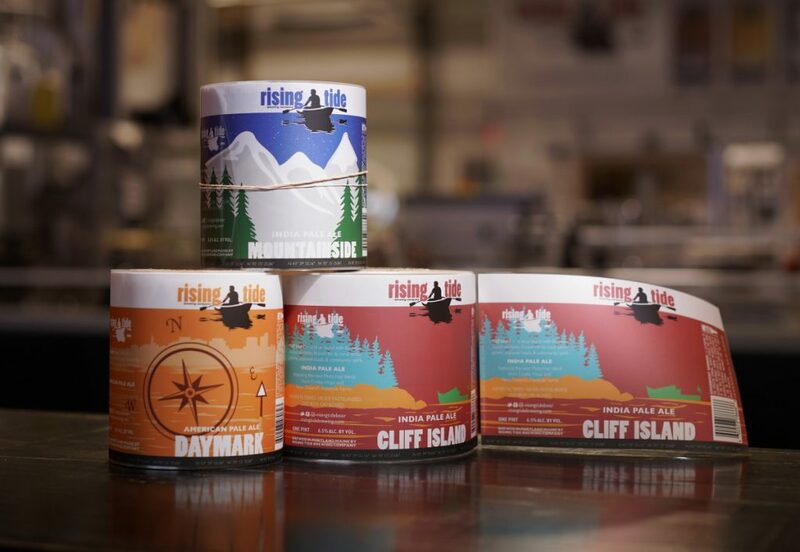 Sanborn said about 20 percent of Rising Tide’s sales are out of state – in Massachusetts, Rhode Island and New Hampshire – and customers are always looking for new brands and tastes. “It really hurts our ability to launch these new brands if we can’t sell them out of state,” said Sanborn, pointing to brightly colored labels used for about eight to 10 brands that Rising Tide has on the market at any one time. Craft breweries like Rising Tide Brewing Co. in Portland cannot ship their product across state lines without having their labels approved by the federal government, a process that has been halted by the shutdown. The impasse will reduce potential revenue. 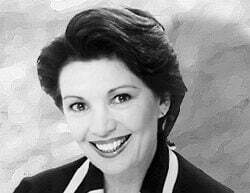 “In this business, we have to be constantly innovating, coming up with new recipes and keeping up with customer demands for new products,” she said. Rising Tide can produce 70 cases of canned beer per hour, usually about 200 to 400 cases per day. The larger brands they produce can take up to a year to develop and bring to the market. The labeling approvals that used to be completed in 10 days could, even when the government reopens, take 45 days or longer because of the backlog that’s built up, she said. “Now we are going to have this large gap where we would have been getting the beer on the shelves,” said Sanborn, who also is a Democratic state senator from Portland. Nathan Sanborn, Heather’s husband and co-owner of Rising Tide, said if a brewery is trying to get a seasonal beer on the market but misses the season, it’s a lost opportunity and reduces its potential revenue. “The excitement and energy around craft beer come from one-off beers or seasonal beers that people can try. It’s a business of continual change,” said Nathan Sanborn, standing next to the towering stainless steel vats at Rising Tide’s location in an industrial area of the Portland peninsula. Sean Sullivan, president of the Maine Brewers’ Guild, said the longer the shutdown lasts, the worse it will be for Maine’s craft brewing industry. Sullivan said new labels can still be brought to market for brands that sell exclusively in-state. “If the shutdown persists, our brewers will be poorly positioned or unable to export any new beers across state lines, and may not be able to expand or grow their business, as they may not have the funding or permits in place to do so,” Sullivan said. Rowland said he was caught in the federal shutdown in October 2013, delaying the opening of SoMe Brewing. Now he’s had to delay hiring two more full-time workers and several part-time employees at York Beach Beer Co.
Nate Wildes, co-owner of Flight Deck Brewing in Brunswick, said Flight Deck does not sell out of state so it hasn’t been slowed by the shutdown. But he said he has noticed customers – many of whom have jobs tied to the military – talking about it more. He said the silver lining is that January is typically the slowest month for craft brewers, and it would have been a lot worse if the shutdown had occurred during the summer.